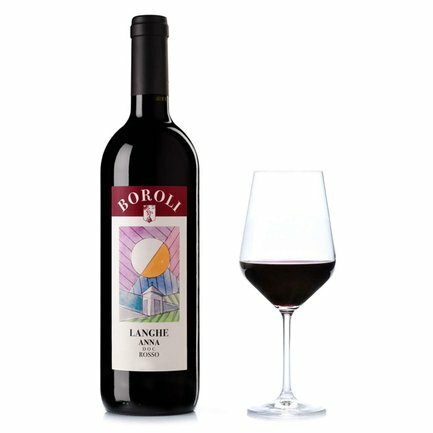 Langhe Rosso by Boroli is created from a blend of Nebbiolo, Barbera and Merlot grapes. In the glass the wine is a handsome ruby red with purple highlights. The bouquet announces aromas of raspberry and red berry fruit with flowery violet nuances. The wine is refreshing, pleasant and well-orchestrated on the palate, with a restrained acidity that is offset by the tannins. Alcohol 13,5% vol. Thanks to its characteristics and personable nature, this wine can be enjoyed throughout the entire meal. Boroli is a Piedmont family whose business roots date back to 1831. In the 1990s Silvano and Elena Boroli decided to break free of the helter skelter of modern life to return to an activity that is closer to the rhythms of the natural word. That's why they started to focus on the art of viticulture in the Langa district and today, after nearly 30 years of activity, their research to promote quality above all else has allowed their wines to achieve widespread recognition.